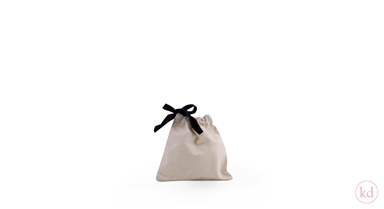 Beautiful pouches made from a soft natural cotton. Its a great way to give you gifts that special Nature feeling. Perfect for gifts like a pretty necklace or a talisman. The ribbon is black which is in nice contrast with the cotton. The size is 18x19 cm and you get 25 pcs per pack.